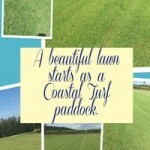 Coastal Turf is a family owned and operated private farm that has been servicing the Tweed, Gold Coast and Northern Rivers turf industry for the past 20 years. We are situated in the Tweed Coast, NSW, with our property located at 279 Round Mountain Road, Cabarita Beach, NSW. Just 15 minutes South of the Gold Coast Airport. We have over 40 acres of turf under production and produce 7 different varieties. As a member of the national turf industry body the Turf Australia we take pride in producing a quality product and investing in the future of the turf industry. Barbara – knows her stuff and is a great help on the phone when you need to choose between varieties. Micheal – Our Farm manager and expert delivery man. Paul – Our expert man in the truck and skid steer. He can get the turf as close as possible for you. John Commens – the Father and Leader of the Coastal Turf Crew. With over 60 years of expert farming knowledge, John manicures and perfects our paddocks to ensure you have an beautiful lawn. Sarah – Thats ME! With over 20 years experience in all things grass, I’m sure I can help. As A daughter, mother, and wife, as well as Turf farmer means I can come at problem from all angles. quality turf product with the best service available! My name is Sarah-jane Mason, and I would like to introduce you to Coastal Turf. Our family farm. My family has owned, managed and produced high quality turf in Tweed Shire for the past 20 years as Coastal Turf Farmers. For the past 20 years Coastal Turf has been under the guidance of my father John Commens. When John first took over the farm, our little 23 acre paddocks only produced Green couch and Queensland Blue Couch. As the years progressed both my brother and I become intrinsic parts of the organisation. Being a family farm, both my brother and I would spend many hours after school, and during school holidays working the farm, talking with customers, installing new lawns, and learning everything we could about new lawns and grasses in our area. This practical knowledge of all aspects of the life cycle of the Turf slab has given our family the ability, to explain to clients in simple understandable terms the attributes of different varieties. Our time spent one on one with clients from all walks of life, has lead us to a strong conviction in high customer service. Over the years, both my brother and I married, and then my husband came to work on the farm as well. For several years my husband, Tony Mason, also worked with on the farm in the family business; especially during the years when our 3 children were very little. During this time he learned the family secrets for growing and maintaining a high quality product that Coastal Turf sells. Six years ago, Tony branched out from Coastal Turf Farmers to start Tony The Turfman. Tony now performs professional installations for Coastal Turf. He also offers such services as; continued maintenance of the newly installed lawns, weed eradication, irrigation systems, and procedures for optimum grass plant health. Through this partnership that Coastal Turf Farmers has with Tony the Turfman that we have established ourselves now, not only, as being able to provide our clientele with a premium Turf grass, but also premium installation and after care service for our NSW customers. 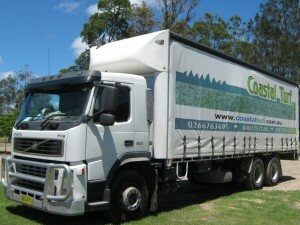 For our Gold Coast Customers we have partnered with Gold Coast Landscaping. 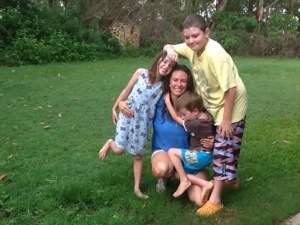 When my children had all gone off to school, I had “spare time” allowing me to return the farm on a full time basis. My experience as a daughter, mother, wife, sister, and Turf Farmer has given me a more rounded perspective when talking with clients. 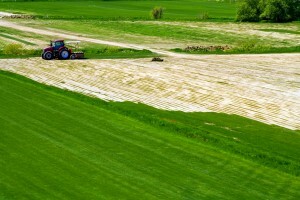 Not only in regards to their new lawn needs, but also, the intricate decisions that need to be considered when making a large end purchase for one’s home. (That’s me in the middle). As a family owned and operated business we are all very aware that it is not only our business name on display every time we sell a slab of turf, but also our family name and reputation. This conviction sets us apart from the larger farms. As both the quality of the Turf we provide to our customers needs to be of high standards, matched by high levels of customer service. Service is an intrinsic part of Coastal Turf. At Coastal Turf we believe that a Positive relationship is formed between our customers and ourselves. Like all relationships, this means taking our time to get to know their needs and expectations. Our relationship starts even before a phone call, with our webpage and other forms of advertising starting the conversation. After the phone call or email, we provide quality turf, delivered to them at a time that suits the customer. We make sure their grass is placed on the ground as close as possible to the desired area for their ease of installation. All these services cement our relationship. If the customer chooses to continue or expand their relationship with us, Tony the Turfman performs our professional installations and aftercare. Our customers do not feel they are forgotten after the sale. We encourage our clientele to call back even years after they have purchased their new lawn from us for expert advice and aftercare. Talking and chatting with our clientele on the phone and in person is a real joy. I learn so much from them, and I believe we pass on current knowledge to them. At Coastal Turf, we believe the best form of advertising, and compliment, is a recommendation from family, friends, or neighbours who are our satisfied customers. Coastal Turf encourages at phone-contact customers who are unable to make a firm decision on the best variety for their new lawn, to come down to our farm and touch and smell the grass. We are also happy to go to clienteles’ home. This way we can recommend the best grass for their new lawn. We also take our sample pots for customers who can touch and see the grass at home to choose from. In this modern area of Smart Phones, a mobile picture of our paddock straight to a customers’ phone is a great form of communication. Whether it is of the paddock where their new lawn will come from, or if it is the client sending me a picture of a problem they are having. 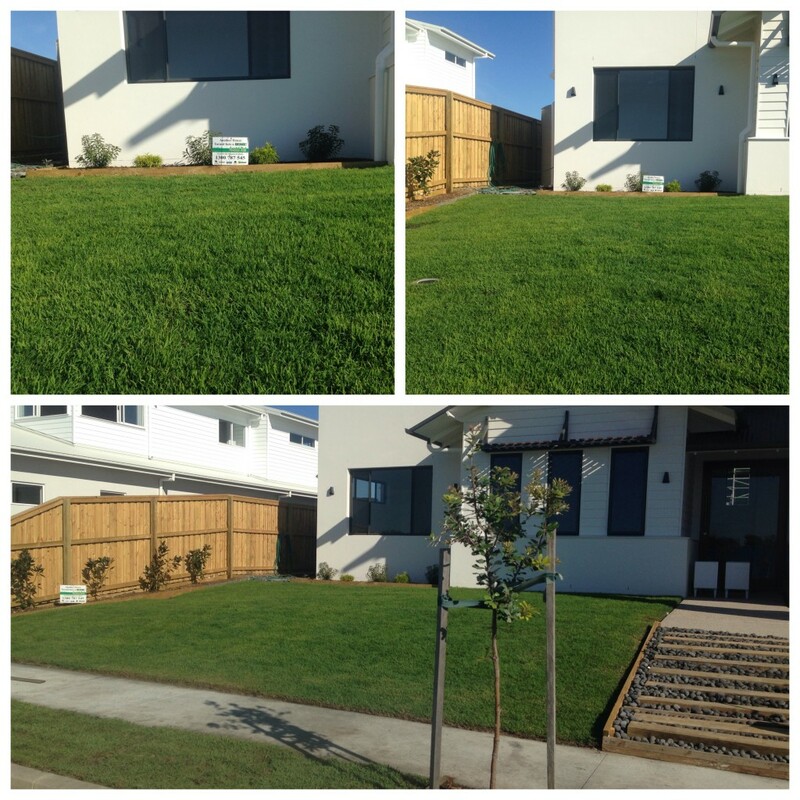 At Coastal Turf we supply the time requested by an individual to ensure they receives the Right Grass for their new lawn.